Join us at the International Kids Day Celebration! 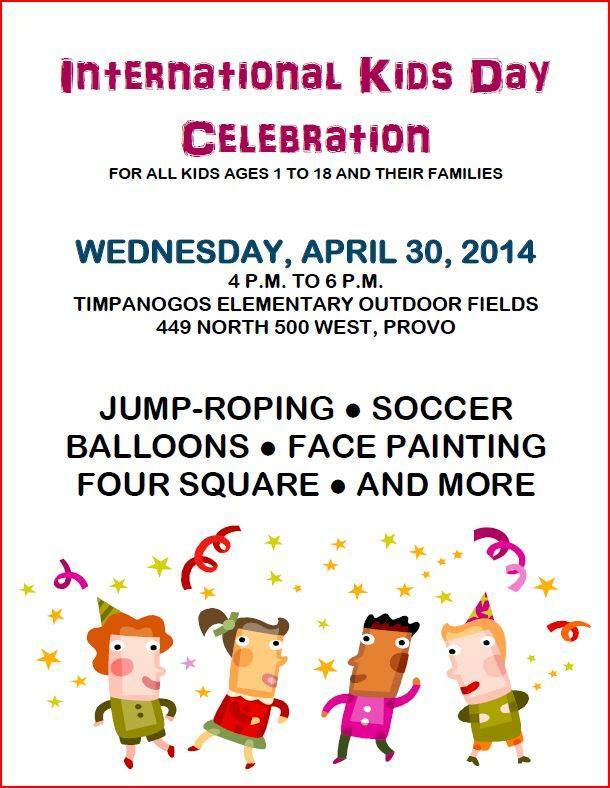 We will be at Timpanogos Elementary (449 N 500 W, Provo) on Wednesday, April 30th from 4 to 6 pm. Stop by and visit our Frisbee golf course!